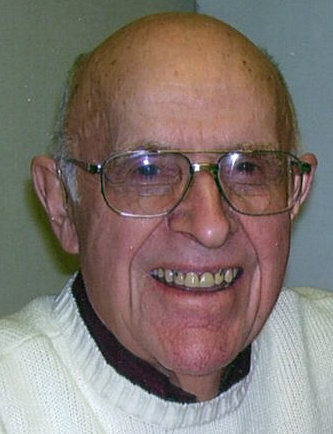 Hastings resident Ronald Royce Saylor, 91, passed away Monday, January 21, 2019, at Mary Lanning Healthcare, Hastings, NE. Services are 11 a.m. Friday, January 25, at First St. Paul’s Lutheran Church in Hastings with Pastor Joel Remmers officiating. Burial with military rites by Hastings Military Honor Guard will be 2 p.m. Friday, January 25, at Holstein Cemetery in Holstein. Memorials may be given to First St. Paul’s Lutheran Church. Visitation is 1-8 p.m. Thursday with family present 6-8 p.m. at the funeral home, and one hour prior to service at the church. Ronald Royce Saylor was born on June 27, 1927, to John Wallace and Gladys Joy (Chapman) Saylor on the family farm in southern Adams County, near Campbell. He was born, raised, and lived on the family farm with the exception of a four-year tour with the U.S. Navy. He attended country school - Sportsville, the first eight years, and then graduated from Bladen High School. He was a life-long farmer. He retired from farming in 1994. Ron learned to fly while in the Navy, after returning home he went on to become a licensed pilot. He even built a landing strip on the farm. He continued his passion for flying by joining the Nebraska Flying Farmers. He and the family enjoyed traveling on many trips around the United States, and a few times into Canada. He was an active member of the Nebraska Flying Farmers and held the office of President of the organization. As a youth, he was baptized in the Holstein Evangelical United Brethren Church. He was a member of St. Paul Lutheran Church, the Middle Mixers and Grace United Methodist and Holstein United Methodist Churches. Ron married Marguerite Sorensen on August 28, 1966. One daughter, Roxanne was born to this union. She joined three brothers Randy, Rodney, and Rick. Ron married Eilene Schlachter May 2, 1992. He acquired two more children, Joni and Corey. Ron’s career in agriculture started as partners with a team that included his father and his brother, Clair. The partnership later included sons Randy, Rodney, and Rick Sorensen. The one hundred year farm purchased by Ron’s grandfather became the headquarters for the larger unit to follow. Ron found time to serve on the Bladen School Board, Cooperative Grain Elevator Board, Catherland Reclamation District Board of Directors, Financial Secretary and trustee of the Holstein United Methodist Church. He was a member of the American Legion and of the Hastings Rotary Club. In 1980, he helped organize and was a charter member of the Nebraska Grain Sorghum Producers Association. Here Ron began his work of helping fellow farmers through research, grain quality and promoting exports. In 1984, Governor Kerry appointed Ron to the Nebraska Grain Sorghum Development, Utilization, and Marketing Board. As a representative of this Board, he was named a director to the U.S. Feed Grains Council, which he served a four-year term. The U.S. Feeds Grains Council promoted the sale of barley, corn, and grain sorghum around the world. This council manages 10 overseas offices from the world headquarters in Washington D.C. Ron served in areas of responsibility in the Council, culminating in his election as Chairman. He had traveled to 26 foreign countries in an effort to transfer technology, discuss trade obstacles, and field complaints on grain quality. He was a recipient of the Hastings Chamber of Commerce Aggie Award in 1995. In 1997-98 he was appointed by the governor as a member of the climate assessment committee. He was chosen to be a member of the Nebraska Hall of Agriculture Achievement in 1998. He served on the Hastings Leadership Committee also in 1998. He received the Paul Harris Fellow Award by the Hastings Rotary Club. In 1998 he served on the Hastings Leadership Committee. Ron was preceded in death by wife, Marguerite Saylor; parents, John Wallace and Gladys Joy Saylor; brother, Clair; daughter-in-law, Julie Sorensen; and grandsons, Jeremy Sorensen and Reid Adler.